Hacks to find in-store Walmart Clearance Deals Without Driving to the Store. 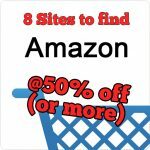 Find and the buy clearance items from your local Walmart stores online. No more driving to the store, parking to hunt for clearance deals again! You ever run into Walmart Clearance Items in the store, the original price is $70 and it’s on clearance for $15, but it’s not an item you wanted? You see-saw between whether to buy it or not on principle, because it’s such a good deal, but you don’t end up buying it because you have no room and no use for it. You wonder what other items could be on clearance at other stores, that you might have a use for. But you dread the driving, parking and fighting through the crowd to get to another Walmart. You could spend the time and energy to get there, and find nothing worthwhile. 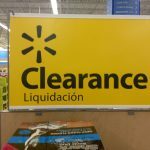 There is actually a way to find and buy Walmart in-store clearance items online, without ever going into the store until you have to pick up the item. I will you give the step-by-step guide on how to do this from your phone or computer. 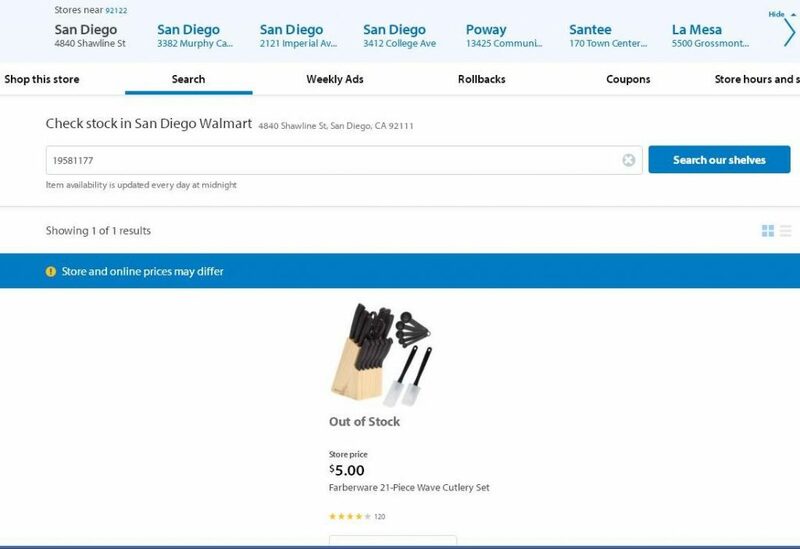 Walmart routinely put items on clearance, for inventory they are discontinuing or getting rid of., It’s entirely up to the individual store manager when an item will go on clearance. As a result the clearance items will vary store by store. A lot of the times, an item on clearance at one store, will be full price at a different store. If an item does go on clearance, it is usually more than one store that has that item on clearance price. In rare cases, items will be at clearance price across all Walmarts. 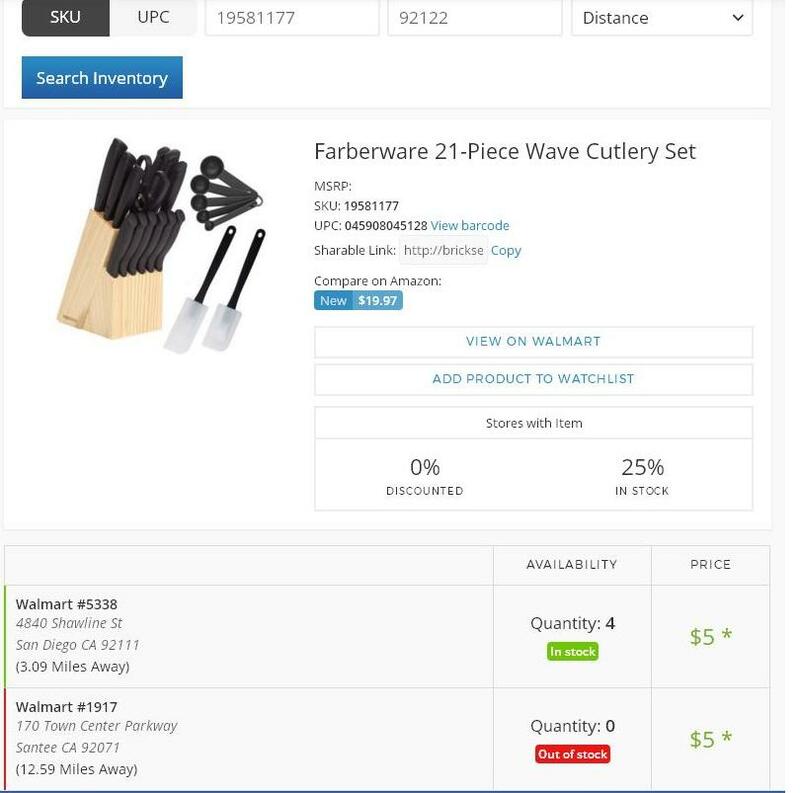 So if someone report she found a clearance item in store in another area of the country, you can check the online inventory and price of the Walmart’s in your area. If only 5% of the stores have the clearance price for the item, chances are one of the 25 Walmart’s in your area will have it at the clearance price. Finding and Buying Walmart Clearance Online. Step 1: Finding What Walmart items are on Clearance. You use to have go into the store to find the store clearance. It is much easier now with various social media channels. A lot of people will post pictures what they find on clearance. The best places for these posts are on Facebook pages, and Instagram hashtags. If someone posts a picture of the item he/she found on clearance, you need to find the SKU for the item. 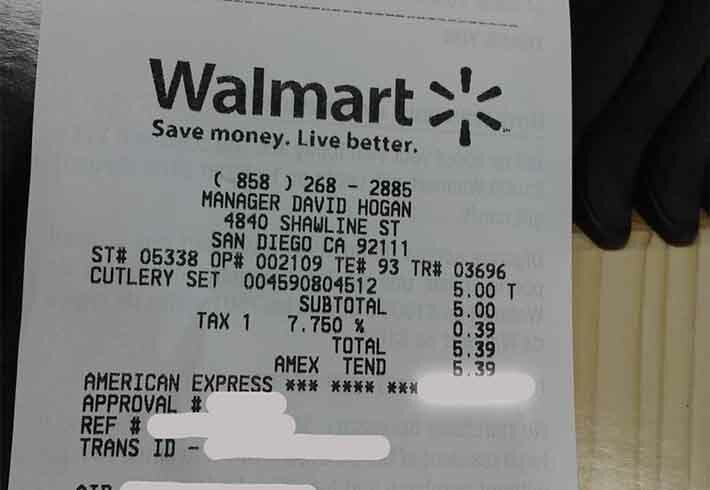 The SKU(Stock Keeping Unit) for Walmart is an 8-digit number that identifies the item in Walmart’s system. Finding the SKU is important to make later steps of this process easier. 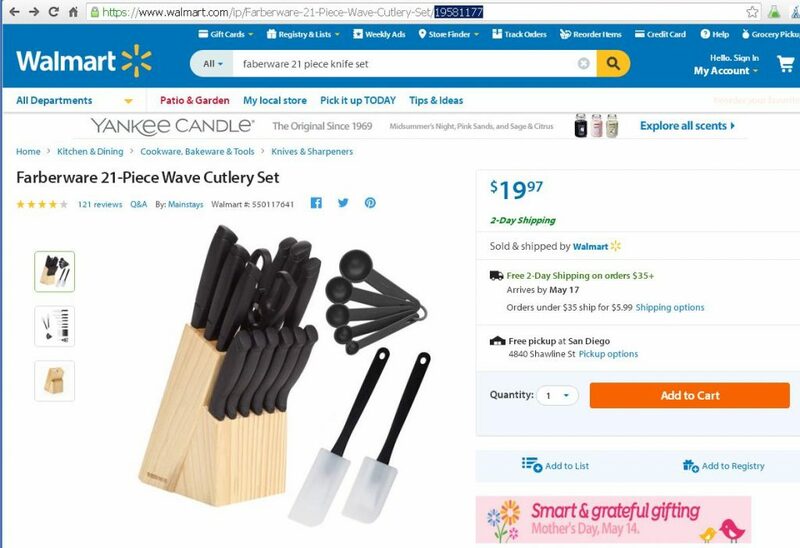 You can find Walmart Clearance items people have bought in Facebook Groups. You can a lot of times find the same deals at your local Walmart! And you didn’t even have to drive anywhere to find these deals! 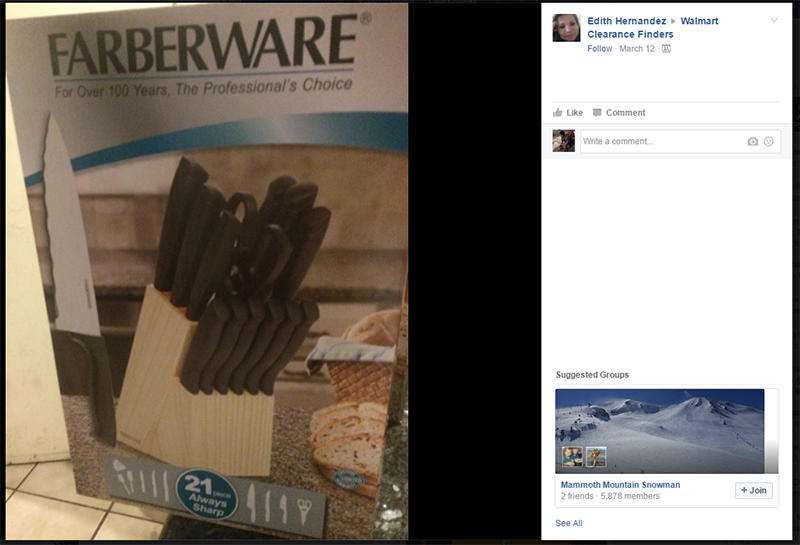 In the Walmart Clearance Finders Facebook group, people will usually post the SKU in the comments. But if the SKU is not listed, as is in most cases on Instagram, you will need to find the SKU. You can click this link to and search the item by name of the item. 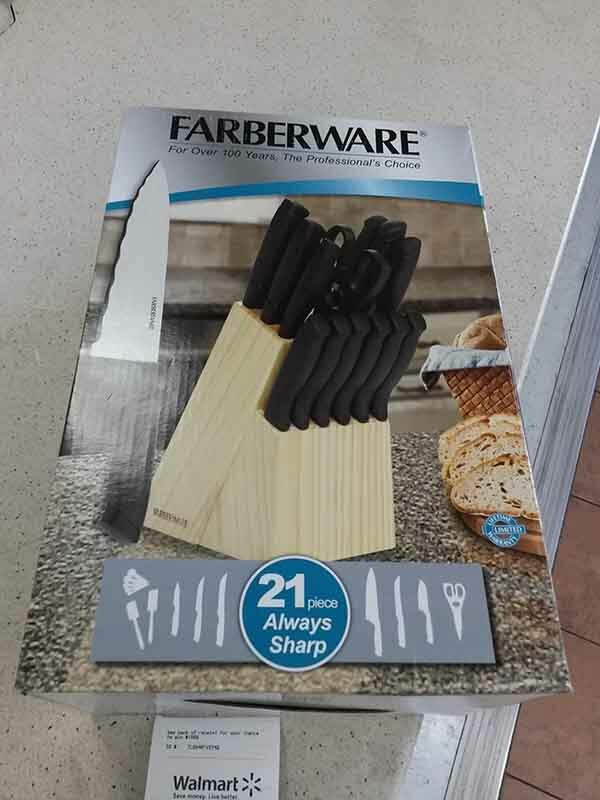 In this case, we will search for “Faberware 21 piece knife set“. Then we need to match the search result with the picture that was posted on Facebook. Once you have found the item on Walmart.com. Go to the webpage of the item. The item SKU is the last 8 digit number in the URL. If the SKU was not posted by the poster on Instagram or Facebook. Search for the product name on Walmart.com. The SKU is the last 8 digit of the item’s web address. For the knives that we’re looking for, the SKU is 19581177. Note that the Walmart.com price is $19.97, but we know it’s at clearance for a lower price. If the SKU was already posted by someone on Facebook or Instagram. 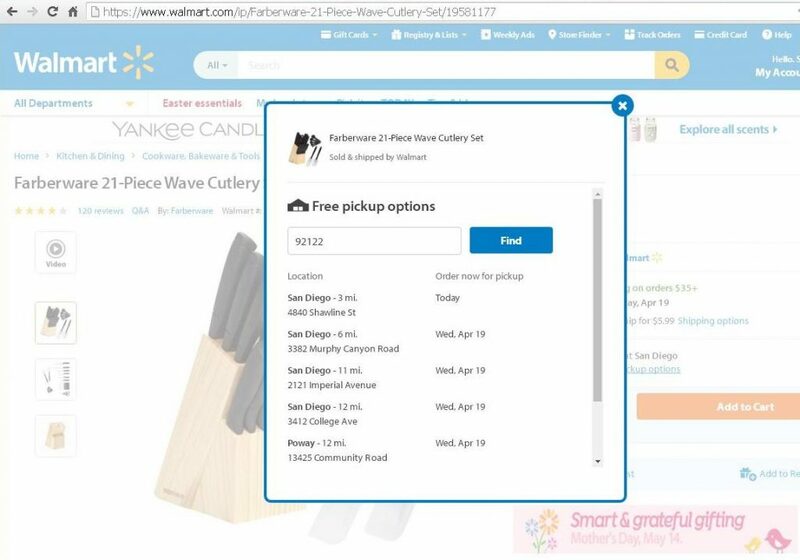 You can search for the SKU directly at Walmart.com, and it will find the product right away. The knives we’re looking for is listed as $19 online, but we know in-store it will be at clearance price at some stores. If the product is not found by SKU search, it’s likely that the SKU is incorrect, and you need to search by product name as mentioned in step 2. 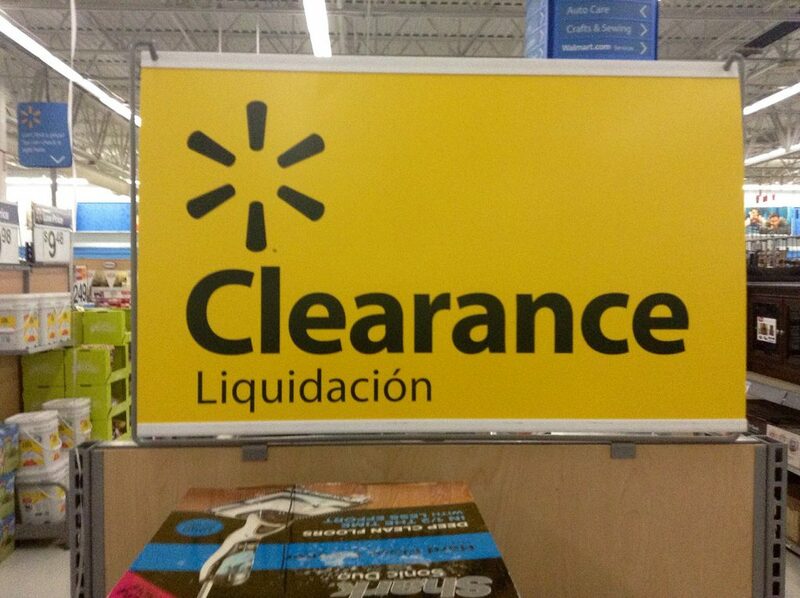 To check that there are local Walmart stores that offer the item at clearance price. Enter the SKU, and your local zip code into Brickseek. Which will display the price and inventory of an item at local Walmart stores. One bimportant note about Brickseek. The inventory they display is usually wrong and outdated. but the prices they display is correct for the stores they list. So if you see an item that show as in stock on Brickseek. Don’t go running to the store yet. Read our following steps, to make sure the store has it, and is holding it for you before you ever leave your house. Enter the SKU into Brickseek to check prices of your local Walmart stores. Beware that the Brickseek’s inventory number is usually wrong. So don’t run to the stores yet. Read the next steps. The way to check if your local Walmart really has the item in stock. Click on the “Store Pickup” option. You are looking for stores that have pickup available for Today, those are stores that actually have the items in stock. Stores that show available for pick up for something other than Today, it means they do not have the item in stock. The pick-up option only shows 5 closest stores, so have a list of zip codes for nearby places, that you don’t mind driving to. For our knives, we found the Shawline Ct location indeed has the item in stock. If the item is available for in-store pick up Today. Then that store has the item in stock! Follow the next steps to verify the clearance price, and then buy it online before going into the store. Before we go drive to the store, we need to verify the store has the clearance price for the item like Brickseek said. See next step. Open a new tab on your browser, and click on the “My Local Store” link. Enter the zip code of the store where you found available for pick up Today for the item you’re looking for, and click on that store. Search the store by the SKU of the item. In this case, it’s 19581177 again. We see the store that has the item available for in store pick up “Today” has the clearance price. Ignore any “Out of Stock” indicator, as it’s always incorrect. We’re only checking on the price as we know the item is in stock. But the item says it’s out of stock, you should ignore the out of stock indicator. We’ve found this to be inaccurate. If the product page says it’s available for pick up Today, it means that store has it in stock. Don’t go driving to the store to get the item yet. What you want to do is order it online, and select in-store pick up at the store where it’s available and at the clearance price. We found availability and verified clearance price in the previous 2 steps. An actual walmart associate will go to the isles and find the item for you, so you won’t have to go searching for it. This also ensures that the item is really in stock, and not lost or stolen. You’ll pay the full price for the product online, but when you pick up the item, the Walmart associate will scan the item to check out, they will see the clearance price, and refund you the difference. Step 6: Go to the store, once the item is ready for pick up. 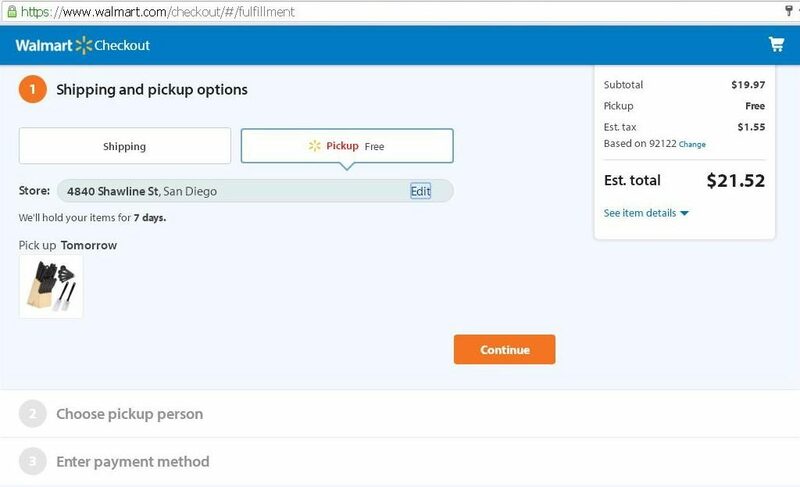 Once you get the confirmation that the item is ready to pick up, you can go head to the Online Pick up counter at the Store. This is a special desk at most stores (it’s not customer service and return desk) and it rarely has any lines. Pick up the online order at the dedicated Pick Up desk. It’s usually at back of the store. The associate will show you the item you purchased, and the computer at checkout will recognize the in-store price is lower than the price you paid online. You will be automatically refund the difference in the price, but not the differences in sales tax (more on this in a minute). In our case, we will be refunded a total of $14.97 ($19.97 online price – $5 clearance price). You’ll get a email notification that the difference in price is refunded back to your credit card. After item pick up. 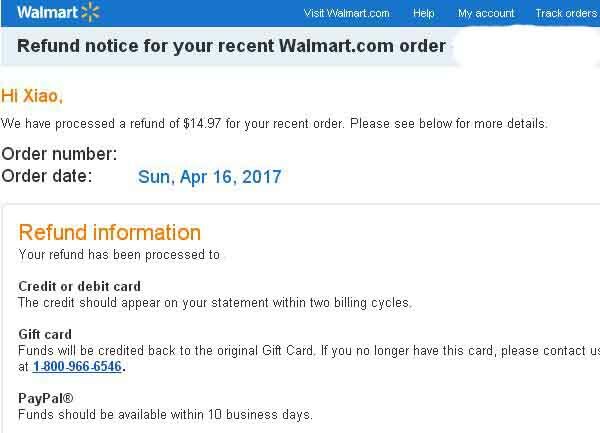 Walmart will refund the difference between online price ($19.97) and the in store price ($5). So I got a refund of $14.97. But I didn’t get a refund for the extra sales tax I paid. We did not receive the sales tax refund, for the differences in prices. We still paid $5 + $1.55 sales tax (based on original $19.97 price). 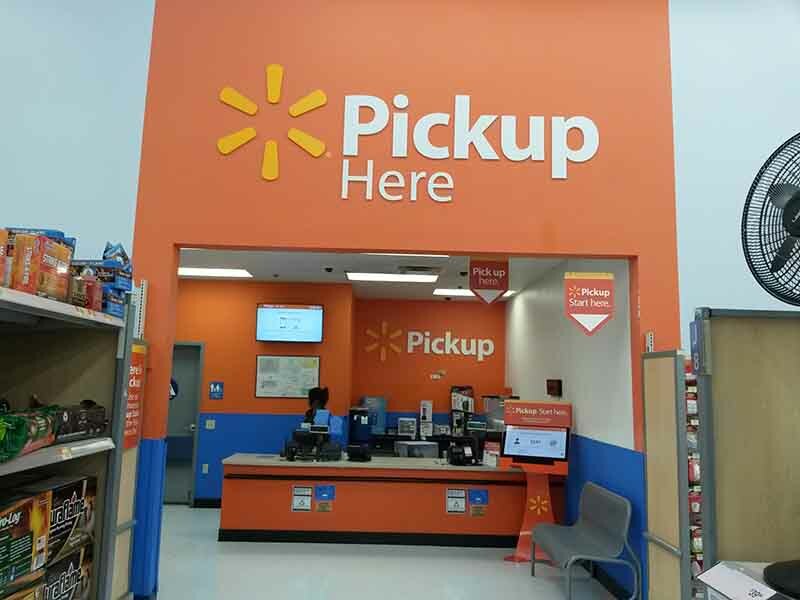 What you can do is: Once the associate has the item in hand, and you verified the in-store price is the clearance price, you cancel the transaction, and pay for the item there at the in-store pick up counter, or take the item and pay for it through the regular check out line. If the Pickup desk person refuses to do this. You can politely thank them, then take the receipt and item to the customer service desk. Return the item, and re-buy it. The price that shows up for when you re-buy the item, will be the clearance price, except now you’ll pay only the sales tax on the lower clearance price. That was easy. Buying the item on clearance from beginning to end was about 5 minutes of work. Excluding the drive to the store of course. You can flip this item on Craigslist, eBay or Amazon for a small profit. Or use it yourself! Congratulations, you just got a great deal. Hopefully you can find use for it, or a person to give it to. You could even sell it on Craigslist, eBay, or Amazon to some profit. We’ll show you how in future articles. Any questions or suggestions or you found a great Walmart Clearance Deal? Let me know in the comment section below. Thank you so much. I haven’t scored anything yet but this has been so helpful. Wish me luck! Just keep your eyes open for SKU’s and deals others find on Social Media. You’ll find them soon enough. 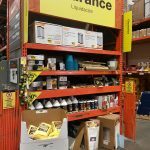 If an item isn’t in stock for “pick up today” but you order it for pick it up at the clearance store, would they still adjust the price at pick up or allow you to return and repurchase for the clearance price? Hi Eva, if an item is not available for “pick up today”, that means that store doesn’t actually have it in stock. It will probably say something like pick up available in “2-5″days. A unit from a different store, or a Walmart warehouse will need to be shipped to that store, so it can be picked up. In this situation they will not adjust the price at pick-up. Thanks for your question! Thanks for the tips. Hopefully will get a deal soon. What if the item says limited stock? But shows the clearance price ans wallyworldclearance shows 1 in stock? Should just go to the store and buy it or? Brickseek shows clearance price and in stock at a local store, but the Walmart website shows the undiscounted price but also in stock. Does that mean the Brickseek clearance price is incorrect for my local store? ..it’s not always the case, but it happens. What if the item doesn’t show on walmart.com so that you can get the SKU? I have checked the stock in brickseek. It’s shoed instock.when I go to store there is nothing in the store. My question is if I buy on full price on .com and go for pickup,would they do price check? Is brickseek data upto date? Clearance items are NOT entirely up to the store manager. Many item clearance prices come from the main office. 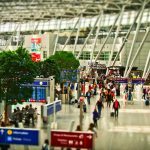 Store managers, and select other management are able to adjust those prices within reason, and in some cases place slow moving non-standard items on in store clearance. Also remember that theft, inventory adjustments and clerical errors may affect the actual inventory. Ok so if I see on here something for 1.00 and I go to my store it rings up full price what should I do .